I've talked about both shades somewhat extensively in Things I'm Loving posts over the course of the past couple of months, but I wanted to sit down and do one final review on the Smashbox Always On liquid lipsticks. I love these suckers so much and I thought that they warranted their own post on the blog sheerly because they've become my favorite liquid lipsticks. I think as liquid lipsticks become increasingly more popular and brands start to come out with their own takes, the products get better, for the most part. 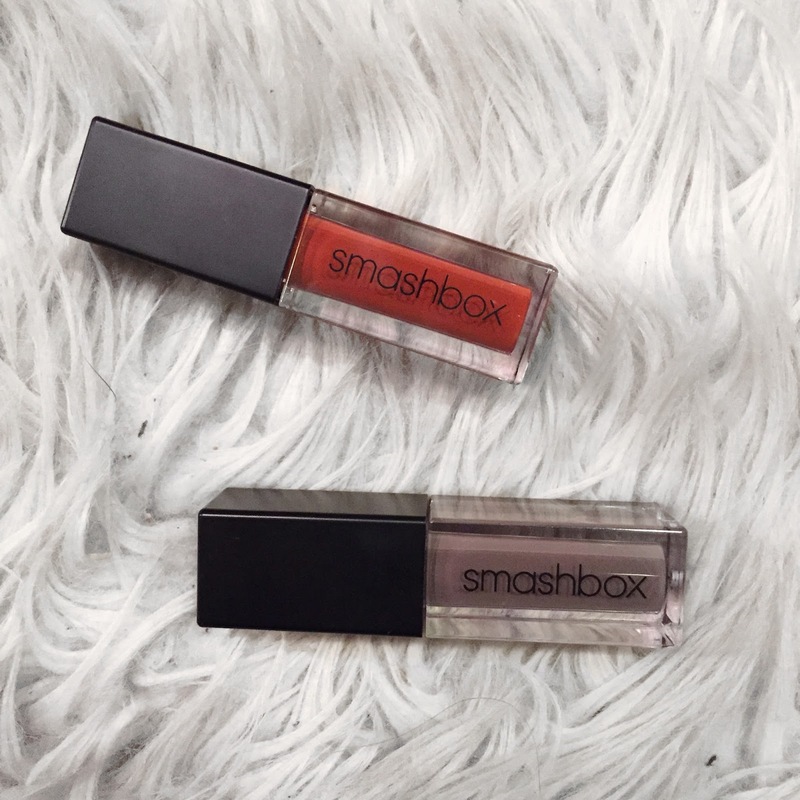 I've tried plenty of liquid lipstick brands as much as I will rave about the Kat Von D Everlasting liquid lipsticks, I think that these Smashbox ones have to take the cake. First thing, I love the applicator. They come to a pointed tip, which makes it really easy to get in all of the nooks and crannies, especially on the outer edges of your lips and the cupid's bow area. 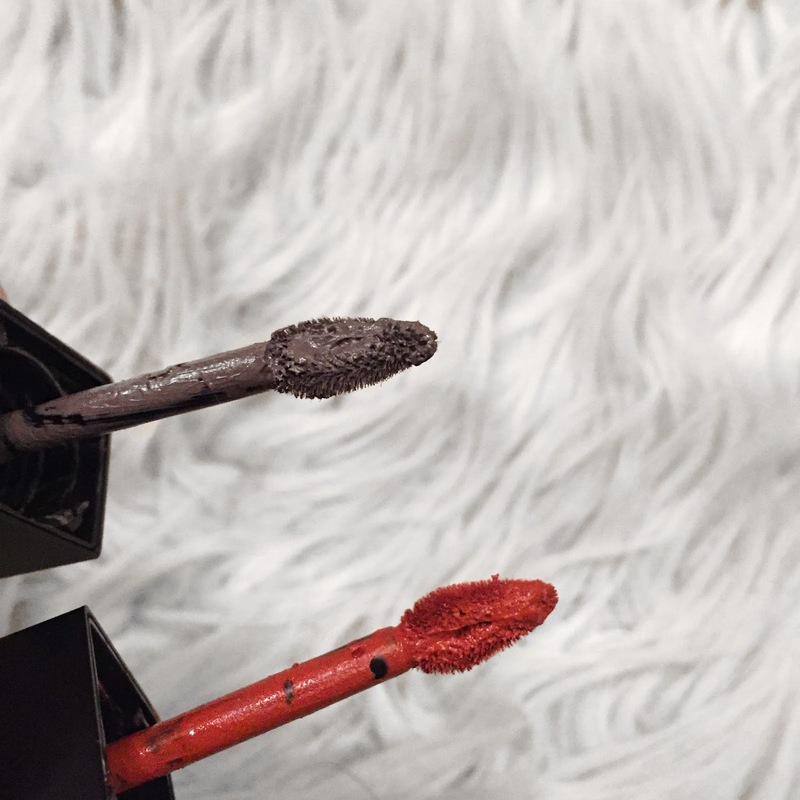 Obviously, the manner in which a liquid lipstick applies is very important, especially since they're so long-lasting and aren't exactly the most simple of products to remove. 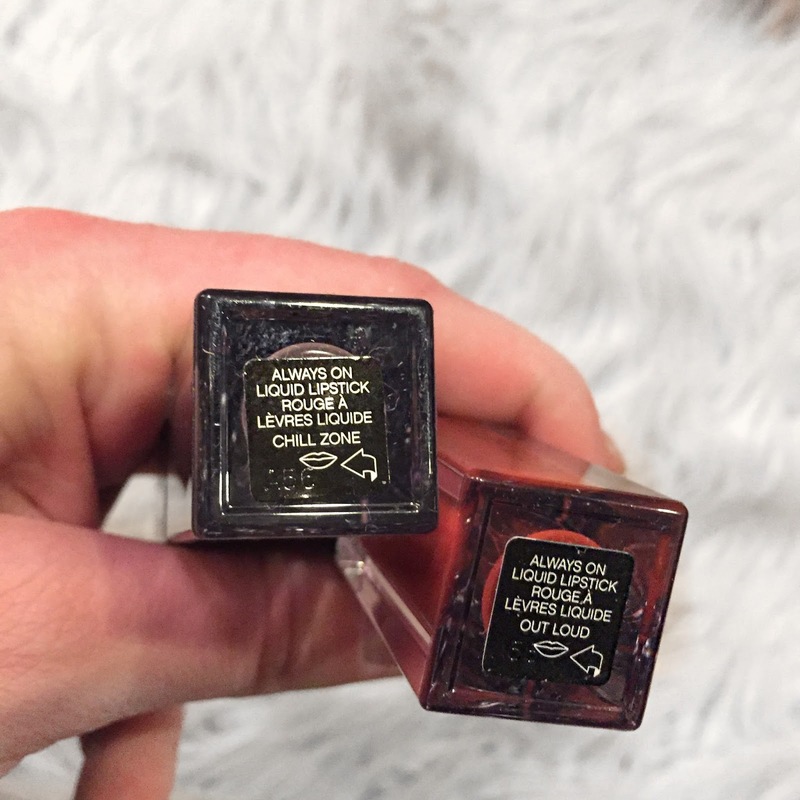 As for the formula, it's one of the creamiest liquid lipstick formulas that I've personally used, but it dries completely matte and doesn't shift or slide. The shades I have don't crackle in lines in my lips nor do they crumble off after a few hours of wear. The only time that I find that these wear is when I'm eating something messier and even then, the only wear is directly on the center of my lips. They don't feather or transfer onto my face where they shouldn't. I haven't even had any issue with them getting onto my teeth! I can get a good day's wear out of these lipsticks with a couple of reapplications, depending on what I've been eating and what I'm doing. I barely have to reapply it at work, which makes it an automatic bonus. Having to worry about fixing up a lip color during the day can always be such a pain, especially on days where it's busy and there's just not downtime to stare at myself in a mirror while I painstakingly try to fix my makeup. I'm not overly familiar with the shade range, but I think if there was a color that I don't already have, I would pick it up in a heartbeat. I think these are really, really great liquid lipsticks and at $24, it's a bit more expensive than the Kat Von D, Tarte and Anastasia liquid lipsticks ($20), but it's about on par with the Stila and I'm sure cheaper than more high end brands at Sephora and Ulta. Overall, the price isn't too bad, especially for a product that does what it boasts. What's your favorite liquid lipstick brand?